The electricity utility sector in India is witnessing a transformational change with progressive policy level changes and effective implementation of directives. The operating environment continuously poses challenges in the form of variable demands, an unpredictable economy, regulatory uncertainty, environmental mandates, investment needs and paradigm shift in technology. These forces translate into increased pressure and challenges for utility companies to operate strategically and minimise risk. 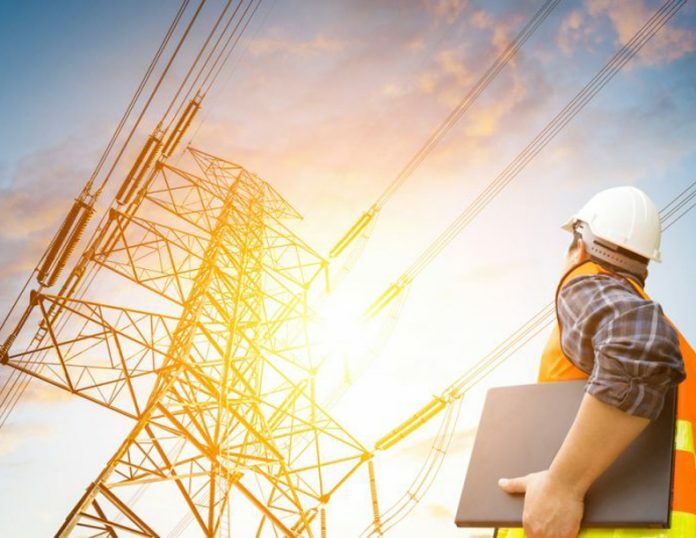 In this context, the procurement function is becoming a critical lever for power utilities to achieve superior performance as they seek cost savings and process effectiveness at every level. One of the key decisions that utilities’ procurement function essentially take is the choice between modes of contracting – the turnkey and the non-turnkey mode. In the turnkey mode, all the materials and services are in the scope of the vendor. It places the purchaser in an advantageous position where the complete risk of ownership is with the vendor, reduced supervision needs by the purchaser and has lower contract management costs. This is because the purchaser needs to interact and transact with a single supplier only for the design, development, supply, and execution of the project. The non-turnkey mode is one where the major material is provided by the utility and only the services and associated consumables are in scope of the vendor. Hence, utilities adopt the turnkey mode of contracting to address those areas where they lack in-depth expertise of concerned material or services. Moreover, it also takes into consideration substantially variable performance based on the equipment or materials used and the way it has been implemented or commissioned. The technology related procurements generally fall in this category because, historically, the utilities have been focusing more on building the operational capacities and skill sets, where the technology related know-how is a relatively weak proposition for them. Hence, it becomes easier for the utility in such cases to define and monitor the end deliverables along with assurance on post-implementation support, AMC etc., thereby leaving the finer details of product and implementation to the vendor. Presence of certain players operating in the market also provides such services to the customers aiding them in defining the scope, SLA or key performance measures in an elaborate and explicit manner. The vendor is thus bound to supply suitable products and implement the entire solution in such a manner so that they can meet the end deliverables as defined in the contract. This also ensures that the choice of product and its implementation quality is robust enough so that the subsequent maintenance costs for the vendor are as low as possible. All other sundry wastages in terms of material or resources is owned by the vendor in turnkey mode of contracting, which makes it all the more important for the execution contractor to execute with quality and finesse, thereby reducing re-work and wastages, especially when the stakes are high – the usual case in such contracts. It is pertinent to mention that convenience comes at a cost. For all the risk that the turnkey contractor assumes, he understandably loads all that cost on to the purchaser. The companies who execute the jobs on a turnkey or composite basis usually build the costs towards the risk, wastages and working capital etc., which may increase the overall costs by approximately 25 per cent – 35 per cent. Though this may discourage a few, it is, however, still a better choice of paying a little higher initially than to incur increased costs in the longer run, owing to delays, lack of ownership on the performance of the complete solution. On the contrary, experienced utilities have been working on such projects regularly and intend to carry them in the future as well. For such kind of projects, a utility may follow the non-turnkey mode of contracting to optimise the costs without any risk on project performance, as sufficient expertise to ensure quality in execution and obtain a desirable performance are already available within the utility itself. Since the onus of project performance lies with the utility in such cases, utilities are inclined to source the major material or equipment from reputed suppliers available in the market. This gives the utility comfort in terms of robust product quality, price advantages owing to larger volumes and reduction in the supply chain length from source to destination. The utilities thus chose such vendors who can execute the projects in the field with major material supply owned by the utility and the vendors’ purview is to address the petty consumables. This reduces the cost of execution drastically but increases the pressure on the utility to ensure timely availability of materials or equipment in its scope and availability of sufficient vendors to execute the services in the field. Therefore, to address the need for a continuous supply of materials or equipment and availability of services in the field, the utilities, in general, opt for a mode of contracting known as Rate Contracts. The Rate Contract is an agreement on unit rate of material or services between the purchaser and seller; and has certain validity. The rate contract places the purchaser in a better position to source the material as needed, thereby reducing the inventory carrying costs and eliminating the need to conduct a fresh market search on every requirement through tenders or otherwise. Tendering is a tedious process for the utilities considering the stringent regulatory and statutory controls; hence entering into such long-term rate contracts makes business sense for the utilities – longer the term, better for the utility. The provisioning of materials or services through Rate Contracts is equally beneficial for the suppliers because it gives them an assurance of business over the contract period (which is a blessing in today’s business context) and consequent savings in administrative and marketing overheads. It is to be noted though, that due to lack of commitment from the utility on the actual volume of purchase, the procurement through rate contract may look to be marginally costlier but such costs must be seen in conjunction with the processing cost of the procurement. Another aspect which is worthwhile pondering upon is the fact that the market factors may change during the contract period, making the contract non-sustainable either from the utility or from the supplier point of view. Hence, even though the utility as a purchaser would like to know its costs commitment beforehand in order to enter into firm price contracts, it may prove to be a double-edged sword for the utility as the utility risks the chance of either the suppliers shying away from entering such Rate Contracts or building the costs of risk into the cost of product or service. In either case, the utility is at a disadvantage. Hence, it is always better to have appropriate Price Variation Clauses built into the contracting provisions which provide due alterations to the contract price – upward or downward, based on the market forces like variations in raw material, labour components et al. But it is equally challenging to define the Price Variation formula which suitably covers the cost components of a product or service. The finer details on cost are both available in more depth with the supplier than the utility, and may vary from supplier to supplier; thus making it difficult to devise a Price Variation formula which is a true representation of costs for all the bidders. In scenarios where the market factors are comparatively less dynamic or where there is greater accuracy in projecting the future trends, the utilities may opt for firm price contracts with variability in rates allowed on a definite frequency for each phase of the contract (say on yearly basis). An alternate could be shortening the contract validity suitably so that firm price contracting does not act as a disadvantage to either party. It is imperative to mention that the key to success for a power utility lies in the quality of services that a utility provides to its customers and compliance with regulatory provisions. One of the key aspects to ensure uninterrupted customer services is the creation of a robust infrastructure and faster restoration of the equipment, thus minimising the downtime. It is important to understand that a utilities’ business differs from the manufacturing industry in the sense that the former needs to procure the finished products or equipment on a repetitive basis to augment its network or infrastructure and to service its customers. A manufacturing setup, on the other hand, procures primarily the raw material as its routine purchase, whereby the finished products are generally an output of the manufacturing industry rather than the input. Therefore, a utility needs to create suitable arrangements with the Original Equipment Manufacturers (OEM) for maintenance and upkeep of equipment throughout their life cycle. Provisioning of spares is an integral aspect of such operational strategies wherein a utility keeps certain spares within its inventory to ensure immediate replenishment in case of a failure. Because these spares generally come from the OEM; hence utilities often need to resort to procurement on a proprietary basis from the OEMs, which in turn may charge high costs for the spares due to monopolistic market conditions. With the ever-increasing cost pressures, utilities are on the lookout to minimise the costs towards these spares. One of the sourcing strategies that utilities adopt to reduce the cost of spares is to procure a set of spares along with the main equipment itself. At the time of procurement of main equipment, there is competition amongst the equipment manufacturers, hence it gives significant price benefits to the purchaser utility and the market data suggests that in such cases the costs for spares can be reduced by as much as 90 per cent. A utility should be adept in managing these spares and should not worry too much about their sourcing. The area where the utilities have often struggled is to have a technology-driven system in place to track and monitor the spares available within their infrastructure. There are solutions available in the market which gives the utilities complete visibility on the spares purchased, their utilisation, and availability in inventories along with their quantity, type, part numbers among many other things. Based on these data inputs, the utilities can also decide which all spares to procure with the main equipment along with their quantities, thus optimising on the overall equipment maintenance and inventory cost. To summarise, a utility business is different and so are its challenges. The approaches which are successful in a manufacturing utility might not be relevant for a utility and vice-versa. The procurement function is a cog in the wheel for the utility to function efficiently, and hence needs to continuously evolve itself to ensure that the overall business objectives are met with a carefully chosen mix of strategy, technology, mode of contracting and contracting terms, thus ensuring a win-win for all stakeholders – the customers, the suppliers or vendors and the business itself.